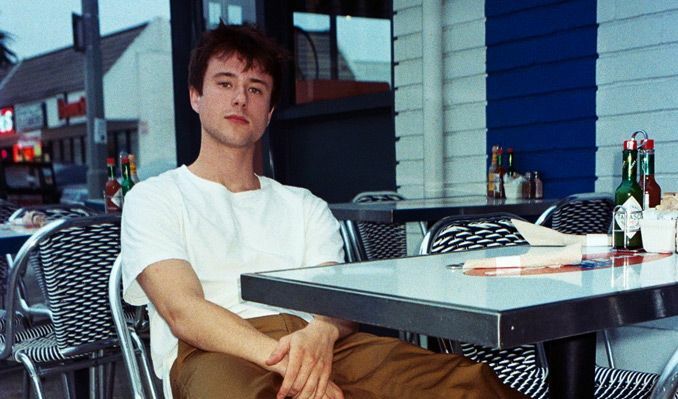 Inspired by Eminem, Paul Simon, and Citizen Cope, the Phoenix-born, Los Angeles-based songwriter fashioned a cinematic, lo-fi sound that stirred up a buzz online right out of the gate, landing him a major label deal by the age of 18. A day after he turned in his first album, he was dropped by the label he thought would take his artist project to the moon. However, it was going to take a lot more to stop him. Alec immediately hit the road for a self-booked European tour in May 2016. He performed “parking lot shows” for fans outside of Shawn Mendes and Troye Sivan concerts, handing out business cards to leave a tangible keepsake for those listening and building his brand from the ground up. Shortly after the tour, he jumped in the studio with Jon Bellion and ended up earning a co write on the pop star’s debut album, “New York Soul (Part II). This session would also open the door for Alec to join Bellion on tour directly after. With an insatiable urge to rise to the top, the tenacious prodigy found himself back performing in parking when he wasn’t on-stage opening for Bellion. Knowing that some of those fans would search for him after the performances, Alec made it his mission to consistently uploaded one new song every two weeks to his YouTube channel and build a catalog his fans could listen to. Within the span of six months, he logged over 165 shows and amassed 150K YouTube subscribers simply through perseverance and a D.I.Y. attitude. Alec managed to hit even bigger strides in 2017 when his viral hit “I Built A Friend” ignited online, clocking nearly four million Spotify streams in under a year and earning airplay for millions of Americans on the national TV show, America’s Got Talent. As for 2018, “Let Me Down Slowly” is the first single off Alec’s debut album that will herald a new chapter for the extraordinary story teller. Balancing relatable yet mature lyrical content with vitalizing production, he pleads, “Now, I’m slipping through the cracks of your cold embrace, oh please, please, could you find a way to let me down slowly?” atop a sentimental yet powerful drum-guitar ensemble. While his story is certainly one of a kind, Alec’s narrative is only just beginning.